Why is my battery light on?” This is a question that we hear from our customers at least once a week. When your battery light comes on, it means there is a problem with your charging system. This could be a failed alternator, a broken alternator belt, a bad battery connection, or a bad battery. We won’t know what the problem is until we have a chance to diagnose the problem. 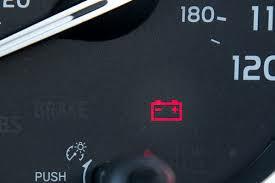 Your vehicle is safe to drive with the battery light on, but you will want to get in to a shop as soon as possible, because your battery will die soon. If your battery light is on, give us a call so that we can get your vehicle in, and diagnose your charging system. We don’t want you to get stranded because your vehicle won’t start, we want you to drive with peace of mind. Why is my car so bouncy?